One of the first things I noticed after moving to upstate NY was the proliferation of Dunkin Donuts. I personally don’t see the attraction, but to each his own. The stores are so frequent, that I joked that if asked for directions, just say, “Turn left at the Dunkin Donuts” and you’ll be correct 50% of the time…the rest of the time, you should have turned right. A quick Google search confirms the proliferation of Dunkin Donuts all over the Capital Region. But I especially like the map at the Boston Globe showing the locations of Dunkin Donuts and Starbucks around the country. I guess when I’m used to a Starbucks on every corner, the presence of Dunkin Donuts instead is noteworthy. It reminds me of the following scene from Best in Show. Now, I need to get used to meeting people at Dunkin’ Donuts instead. While traveling in Brazil for the World Cup, I was seriously concerned about being robed, especially given all the bad press on crime in Brazil and repeated statements from Brazilians I know to stick to the touristy areas. This is Brazil. Sometimes you walk in the jungle and you see lots of birds. Other times, you don’t see any. I drive that route with a heavy foot. When I returned, I came across this ranking by Movoto Real Estate of the most dangerous small cities in America. Schenectady was number 11. The rankings are of cities with populations between 50,000 and 75,000 people with available crime data from the FBI’s 2012 Crime Report. While I definitely felt concerned in Brazil, I don’t in Schenectady, and unfortunately, these types of rankings serve to perpetuate a preexisting idea of the city. There are also some legitimate concerns over the validity of the statistics, as noted in this response from another city on the list. For example, a city must report the data to the FBI to be included in the ranking, which will affect the results based on which cities submit the data. Furthermore, similar analysis by the same firm has produced results which are counter intuitive (Ithaca is the most exciting place in NY?) Skepticism should be applied to the crime rankings as not all residents or visitors have an equal chance of being victims, which raises the question as to whether the results should be truly meaningful to a visitor or potential homeowner. Despite the criticism of the ranking, crime is certainly a concern, and I hope the police department’s effort to use more data to be more efficient will pay off. At least Schenectady is #2 for access to ice cream that can be bought concurrently with a buttered roll! I am frequently asked by colleagues why I chose to live in Schenectady. Aren’t you worried about the schools? What about the taxes…aren’t they too high? These are just 2 examples of common questions I receive when I tell people I live in Schenectady. Rather than address them directly, I would rather explain why Schenectady is preferred over Niskayuna, Glenville, or Clifton Park. 1) I had to live within walking distance of shops and restaurants. Basically, the more walkable, the better. 2) My commute to work had to be short. I was not going to waste time sitting in my car. I value my time too much for that. 3) I had to find a home in my price range. 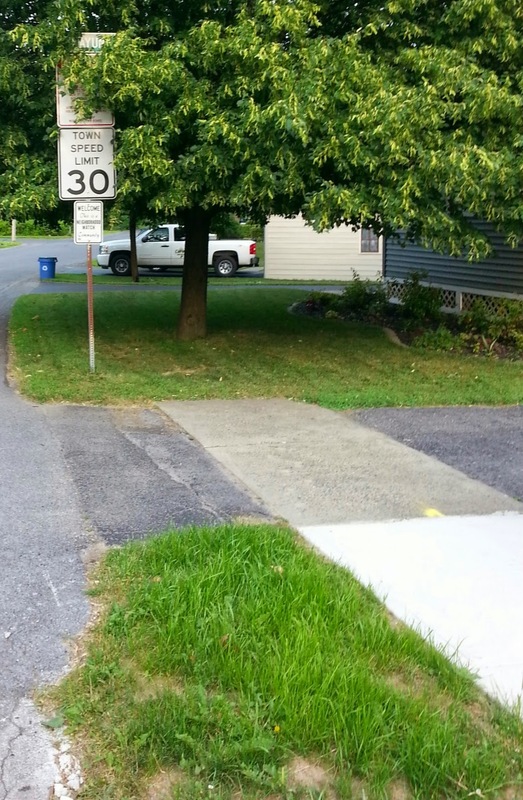 The bottom line is that because of where I work, I could not live in Clifton Park and wait in line at the Rexford bridge every day, nor could I live in Niskayuna, a town without sidewalks. Needless to say, Schenectady is certainly affordable. And that’s it. I have strong feelings about the questions at the beginning of this post, but I’ll save that discussion for another day.